You are currently browsing the The Pet Product Guru blog archives for the day Tuesday, February 26th, 2013. Currently, there are about 2,500 t0 2,600 military dogs deployed with our American troops overseas. Like members of the military, these dogs go through basic training and face combat, explosions and gunfire. Many times, dogs are sent into dangerous situations to protect the lives of their handlers as well as other solders. Military dogs a invaluable in detecting explosives and chasing the enemy on foot. Did you know that a military dog saves an average of 150 solders lives throughout it’s service? 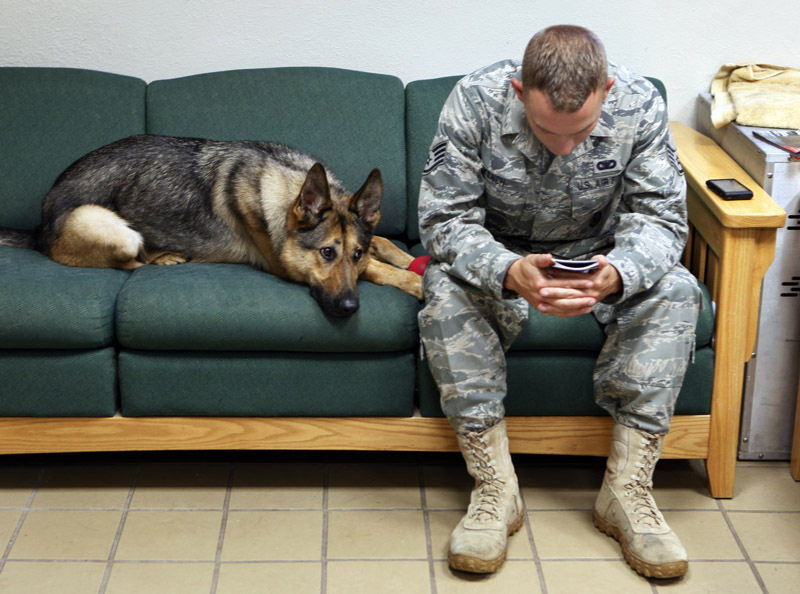 There is a tremendous bond that forms between military dogs and the solders. They spend 24 hours a day together. They eat, train, sleep and fight together. The solders credit these dogs for saving their lives and providing much needed companionship. About 400 military dogs are retired from service yearly. 430 military dogs were adopted in 2011. There is even a waiting list of about 300 -400 potential owners. So lets give credit to these brave animals who are true companions and friends of our military. We have six great radio stations on our internet radio network. Check them out, they’re great to listen to at work!